The 4th annual James K. Knowles Lecture and Caltech Solid Mechanics Symposium will be held on Friday, January 25, 2013, in the Beckman Institute Auditorium. The James K. Knowles Lecture by Krishnaswamy Ravi-Chandar, University of Texas at Austin, will be followed by the Solid Mechanics Symposium with presentations by current Caltech graduate students and postdocs. Knowles was interested in the motion of shocks and phase boundaries in nonlinear materials such as shape memory alloys and rubbers. A crucial issue in these problems is the idea of a kinetic relation that connects the "driving force" and the speed of the discontinuity. In this presentation, I will explore this problem through a series of experiments in a few different systems — stretching of rubbers, elastomers, and shape memory alloys, and compression of foams. We perform specially designed experiments, with appropriate diagnostic tools to obtain spatio-temporally resolved strains and particle velocities, and explore the formation and propagation of shocks and phase boundaries. We also exploit the hysteretic response of rubbers to form shocks upon unloading from a highly stretched state. These experiments show that shocks are difficult to generate in rubbers and elastomers under tension, but are easily generated upon unloading. Metallic low-density foams provide another type of specimen for examination of compression shocks. Interpretation of these experiments also shows that the dynamic behavior of these materials differs significantly from the quasi-static behavior, leading to the need for inverse methods for identification of the material response. 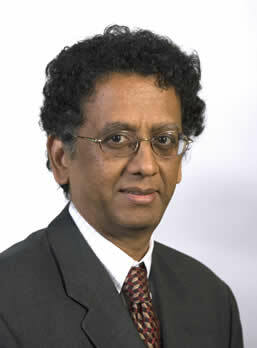 Krishnaswamy Ravi-Chandar holds the Temple Foundation Professorship in the Department of Aerospace Engineering and Engineering Mechanics at the University of Texas at Austin. Prior to this he was on the faculty at the University of Houston for 17 years. He received his PhD, in Aeronautics from the California Institute of Technology in 1982. His research focuses on the identification of constitutive and failure behavior of materials including fracture, fragmentation, strain localization and dynamic stability, ductile failure, nonlinear waves, multiscale experimental mechanics, mechanics of polymers. He is a fellow of the American Society of Mechanical Engineers, American Academy of Mechanics, the Society for Experimental Mechanics and the International Congress on Fracture. 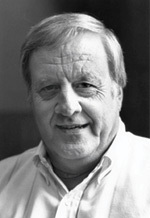 He was awarded the Murray Medal by the Society for Experimental Mechanics in June 2004. He is the Editor-in-Chief of the International Journal of Fracture.